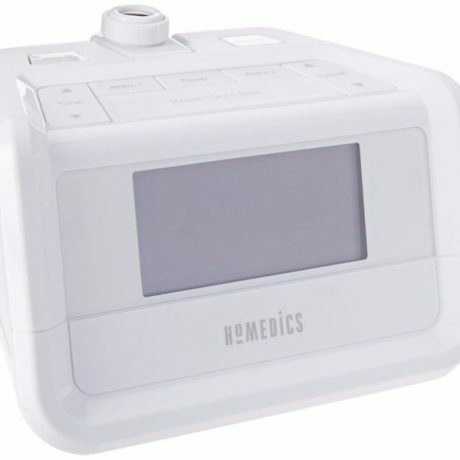 HoMedics® SoundSpa® Digital FM Clock Radio with Time Projection gives you the power to create a soothing, relaxing sleep environment. Choose from eight peaceful relaxation sounds including ocean, white noise, brook, rainforest, thunder, rain, fan, campfire, or simply switch on the radio. The SoundSpa Digital FM Clock Radio comes with the option of time projection and a soothing blue light.